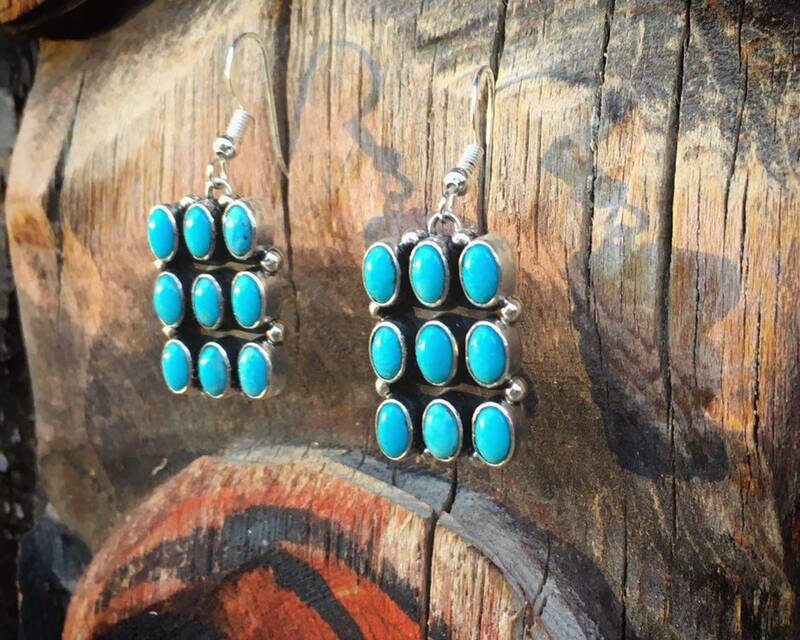 These earrings feature a cluster of blue turquoise in a simple yet striking rectangle pattern. 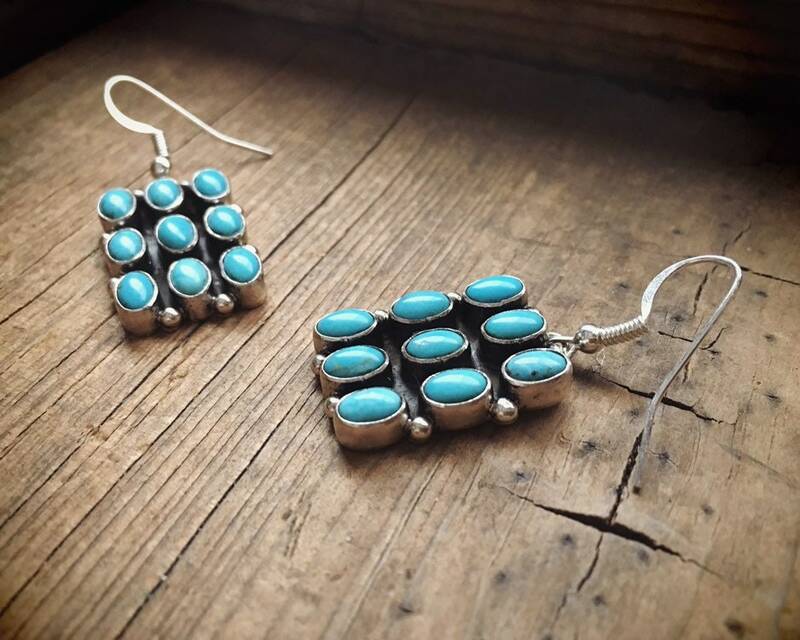 Nine cabochons of turquoise, all in smooth bezels, in a checkboard style pattern. 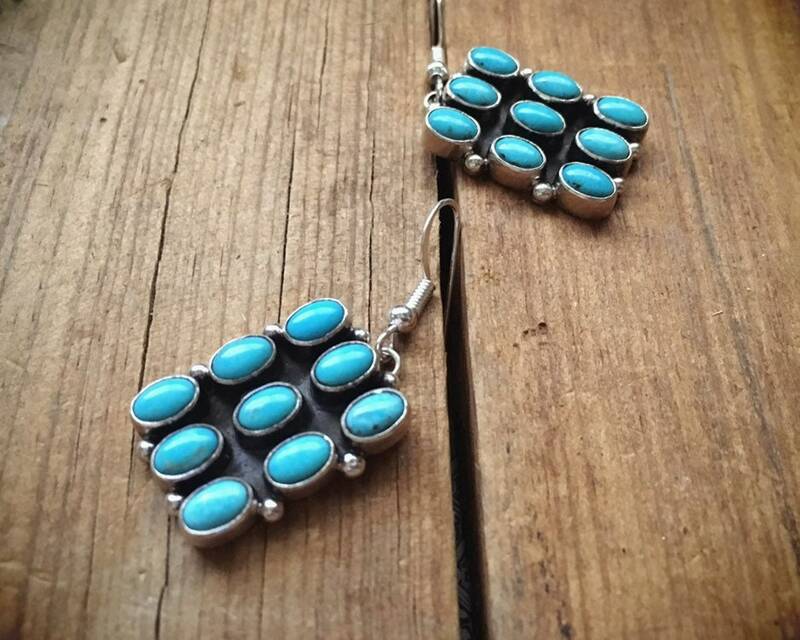 These are the kind of earring that you can wear to a casual outing and to a special event. Plus, they're perfect for a short hair style. 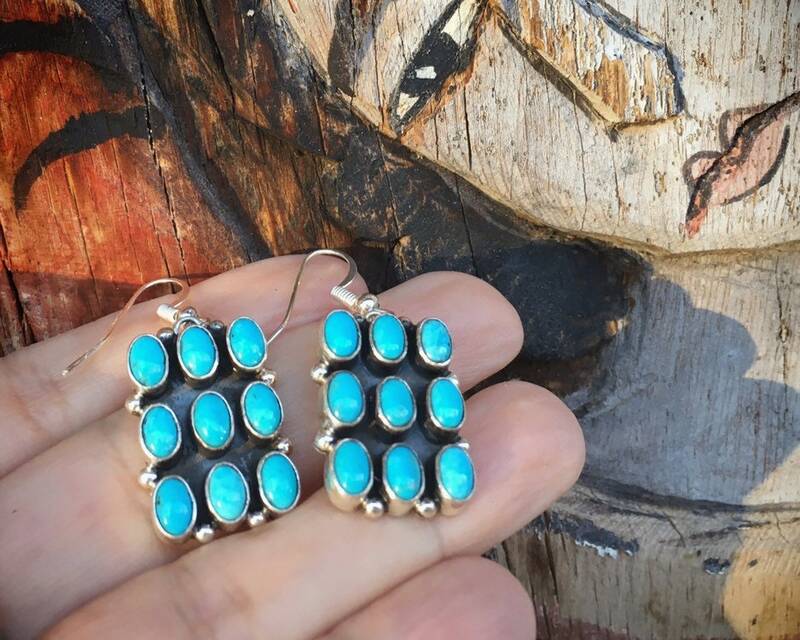 Signed on the back by Navajo silversmith John Delvin. 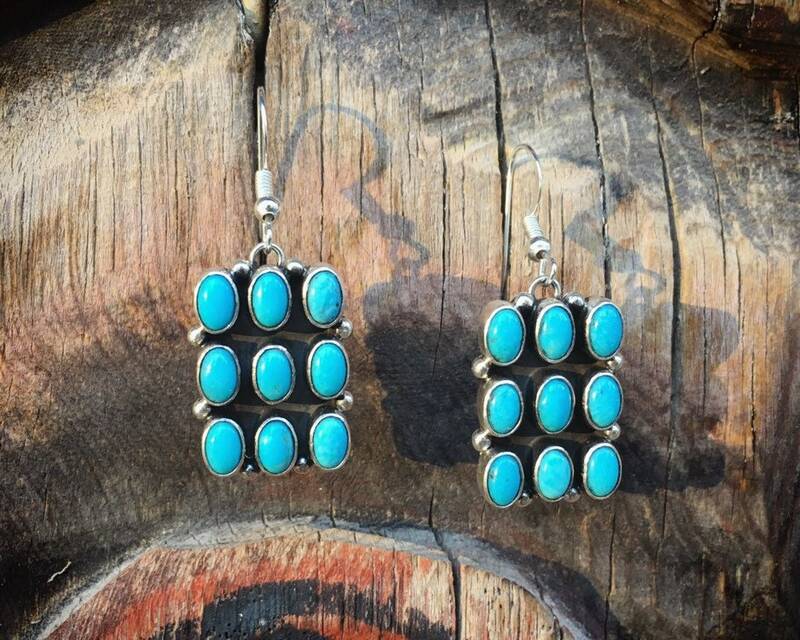 The earrings measure 5/8” wide by just under 1" long and hang closer to 1-5/8" including the ear wire. In good condition.